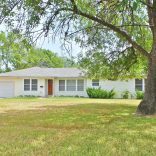 Corner Oaks Cottage is a charming property that sits on a corner lot blanketed by large live oak trees giving it lots of shade from the Texas heat! The large deck with its beautiful arbor out back is perfect for sipping some cold lemonade in the evening or lazily enjoying a cup of coffee in the morning. 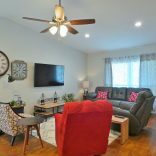 The three (3) bedroom, two (2) bath home is perfect for retreating and relaxing after a day of shopping, sightseeing, or Texas A&M events. With two (2) queen beds and two (2) twin beds there is plenty of space for everyone. The fully furnished kitchen and an electric grill make planning meals easy. Come and stay awhile in this adorable cottage. It is sure to make you feel right at home! 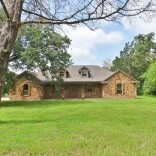 The huge backyard is perfect for playing Frisbee or just horsing around with the children or you might bring a game of washers to enjoy while you visit the Corner Oaks Cottage! 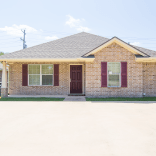 Corner Oaks Cottage sits on a quiet, family friendly street and is close to Blinn Community College, St. Joseph’s Hospital, Historic Downtown Bryan, restaurants, and shopping. 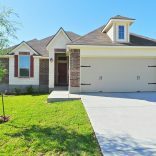 It is perfect for staying out of the hubbub of game day activity yet still be near enough to enjoy all that is Aggieland (15 miles from Kyle field).